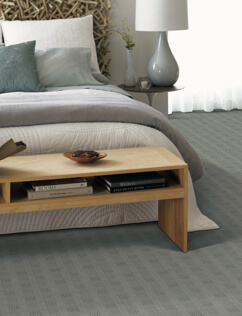 Finding the right floor for your room design is easy, browse online or download the pdf. That’s been our pledge from the very beginning, and that’s still our commitment today. We believe floor shopping should be simple and fun, so we’re proud of our legacy of creating memorable shopping experiences – from beginning to end – with an unrivaled devotion to customer satisfaction. We are a part of a national co-op, a group of over 500 family-owned and operated stores, who have banded together to bring you a hometown alternative to the big box store. It’s through this co-op that we are able to guarantee you low prices on thousands of carpets and floors, without sacrificing the personal, local service you’d expect from a small business. Our fully-trained and experienced staff of flooring experts is ready to help you find the perfect floor for the way you live – so pay us a visit. We’ll help you find terrific savings on stylish carpet, beautiful laminate, elegant hardwood, timeless tile, and versatile vinyl. We have a wonderful selection of traditional styles and hot new looks, backed by the best warranties in the industry. And remember, no one can beat our Ultimate Confidence Guarantee, giving you peace of mind to find the right floor for your lifestyle. Come in and see for yourself! We know we can help you find the floor of your dreams, and we can’t wait to serve you. See you soon! for rooms where you want warmth and comfort. With so many options available, it’s hard to know which factors are most important. Never fear! 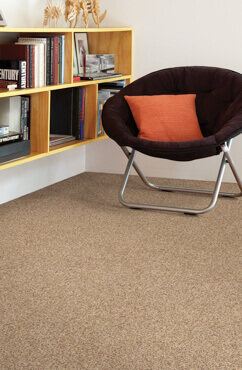 Here are some pointers for picking the right carpet for your home. 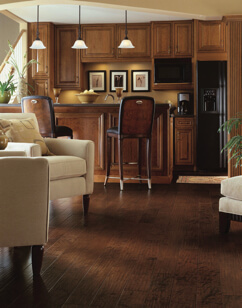 Laminate flooring installs quickly and is beautiful, durable, and easy to maintain. 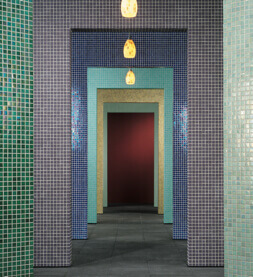 It’s available in a wide variety of finishes, including wood, stone or tile. With exceptional strength and ultimate softness, Tigressá® SoftStyle stands as the protector of your carpet’s beauty, performing year after year to instill more pride in your home. 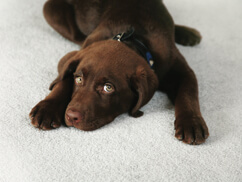 Plus, this “green” carpet is made from environmentally friendly Nylon 6, which can be recycled over and over again. Finest Fiber, Colorfast, Recycled, Renewed. Tigressá® Cherish is so soft, so smooth, so beautiful – you will cherish it for years to come. 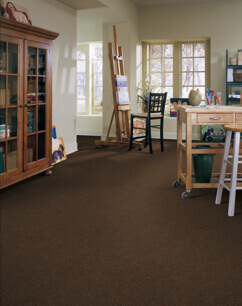 This carpet, crafted from the newest generation of Type 6 Nylon, offers unmatched softness, color-trapping fade resistance, and eco-friendly materials that can be renewed in the future. Designing a new look for your home can be daunting. There are so many choices, themes and colors. Some are too boring, too clean, too cluttered, too daring and just not you. 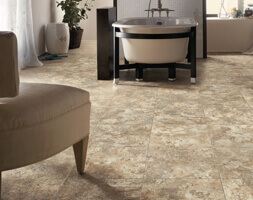 When choosing your vinyl floor, you’ll want to decide between vinyl sheets, tiles or planks. Within each category, there are different wear layers, sealers and construction types.